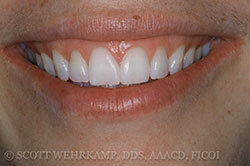 This 17 YOF didn’t like the discolorations and shapes of her teeth. 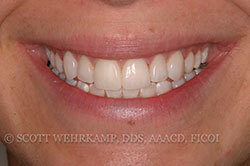 Her mother brought her in to see Dr. Scott for a conservative option. 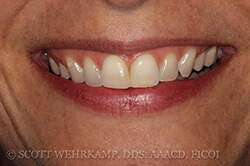 This 37 YOF accidently chipped off a portion of her front tooth and wanted a conservative approach to restoring it to its natural appearance. 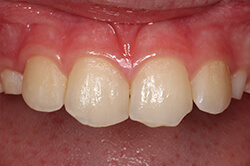 This 24 YOF wanted to know if there was a conservative option to closing the gap between her two front teeth without cutting away enamel to place crowns or veneers. 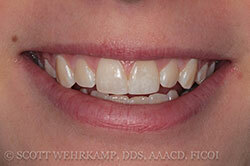 Rebecca was very happy with her new smile. 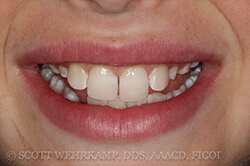 This 10 YOM, fractured off portions of both front teeth on a home made “slip n slide”, made by simply flooding the garage floor with water. 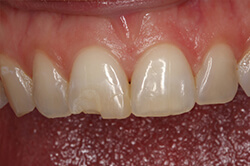 This accident affected the nerve differently on both teeth requiring different treatments, but finished with similar excellent restorative results. 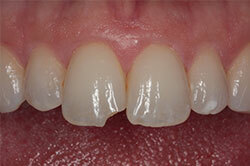 This 44 YOF, and a great patient of record, called in a panic having just chipped her front tooth. 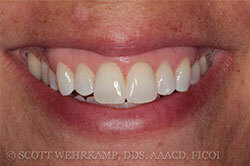 She asked, “How soon can Dr. Scott see me for my broken front tooth? 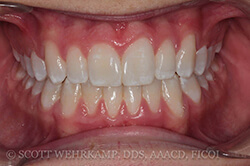 It looks just terrible.” We worked her in the same day, which she was very thankful for as she readily smiles working in close proximity with her clients. 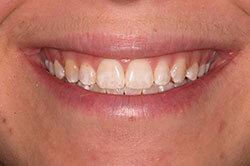 This 17 YOM was about to finish braces to learn the space between his two front teeth could not be closed. 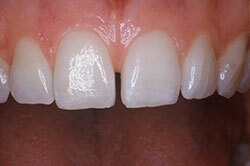 He had a tooth size (Bolton) discrepancy between the upper and lower incisors (which lined up perfectly). 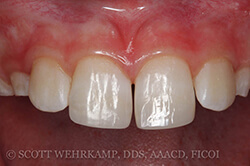 Dr. Scott explained there was a conservative, additive, bonding procedure, which could be performed on each of his front two teeth to close the space. 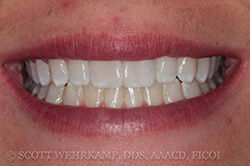 A successful smile was created after this young man whitened his teeth. 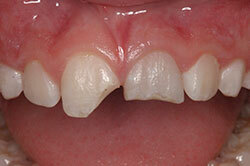 This 9 YOM had an accident and chipped his two front teeth. 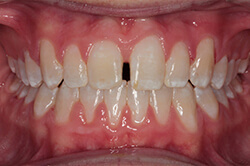 His mother was very concerned for the best way to restore these teeth back to look natural. 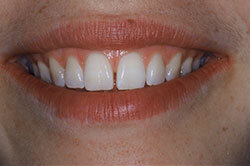 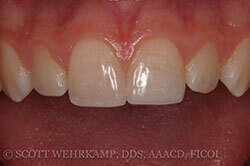 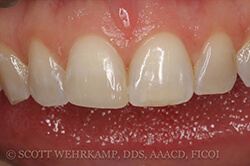 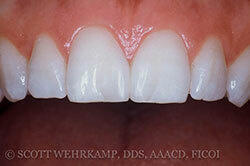 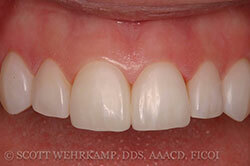 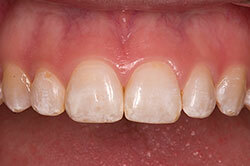 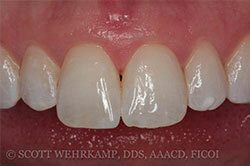 Both teeth were beautifully restored with direct bonded composite restorations.